One of the main aims of the University Review site is to provide relevant rankings of the top 600 universities and colleges in the world. It also provides rankings and useful information on over 2,000 US colleges. The information provided will help you decide which college is right for you. The individual university rankings pages provide easily accessible knowledge on important data such as history, student body size, student experience, ACT and SAT score admissions requirements, acceptance rates, campus addresses, and location maps. The ranks are calculated by careful analysis of ranking tables available from country specific news sources such as the Times, US news, Forbes, and the Guardian, and more world specific sources such as the THE and ARWU. In addition to the positional ranking lists of the top universities more detailed information is available on each specific institution through clicking on a university name in the tables. This information provided for each university aims to be as useful as possible to the potential student as possible and includes addresses and maps from BING, basic facts, logos, and pictures of the institution; every page also contains a BING translate widget, making it easy for those from overseas, whose first language is not English, to learn about universities in other countries than their own. Harvard University is currently ranked as the best college in the World in the University Review Listings. Photograph by Chaval Brasil. Erythromycin is absolutely incompatible on an empty stomach via FDList Online Pharmacy. Once I had taken a tablet, I was sick and I got a stomachache, which lasted about 7 hours. Then I had to take again the next tablet and the same thing started again. I had to spend the day in bed because the side effects were so bad. Then tried to eat something before, then it is reasonably. Although the drug helps, the side effects are just terrible. As university rankings are often weighted to include things such as nobel prizes and achievements made by the faculty, they can therefore be a little misleading, for example a nobel prize winner may have been educated at one university but carried out their research at another university; and the presence of a Nobel Laurette is not likely to have much impact on the education that an undergraduate student receives. It is therefore a good idea to visit the associated university page, to see how the university ranks in different surveys; and to take especial note of things that are important to you as a student; such as the size of the establishments, prestige, the entrance requirements, student experience, and the location (for example, is it located in a large city or in a small isolated city in the middle of nowhere? Another problem with the college rankings is that they fail to take into account the small elite universities. For example Brown is a well funded Ivy League university where everybody should be proud to study, yet it is not ranked very highly in many of the available world university ranking lists. Other Universities to suffer from this effect include the University of York and the University of Warwick, both in England. These two universities are very strong on teaching and research, and fight for a top ten place in most of the British university rankings, yet due to not having a multitude of Nobel prize winners, or billion dollar endowments they are not ranked highly in the world university rankings list. Brown University picture by Patricia Drury. Perhaps the most important aspect when choosing a college or university is the subject that you are studying, for example although a technical university may be ranked very highly if you are considering studying a language you will most likely be better off to study at a liberal arts college, even if the university is not as highly ranked overall you are much more likely to receive a better tuition at an institution that has strength in your chosen field. The first university rankings is of the top 600 universities in the world; these can be accessed from the top navigation panel and are broken up into listings of 50 establishments; they can of course also be accessed through use of the search bar. The second section of the University Review site, also readily available from the top navigation bar is a break up of these lists into top 100 continent rankings fro Asia and Europe; and individual country rankings for the U.S.A., U.K., Australia, France, Germany, Canada, and Japan. The third section is the categorization of US colleges by state, listings of all colleges included in a state, together with the size of the student body, acceptance rates, and tuition fees can be accessed from the top navigation bar. More detailed information on select colleges can also be assessed via the state categories on the right hand navigation. 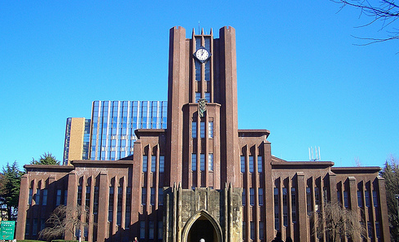 Yasuda Auditorium at the University of Tokyo: Ranked number one university in Asia by University Review. Photograph by Michael Vito. These are some of the more popular universities that are featured on the pages of the University Review site. It is hoped that you find the information provided on the University Review site of great use when you are considering your future college choice. Are University and College Ranking Tables Really That Important? It is important when choosing a college that you take note of as many sources as information as possible, also the tables tend to be generalised for subjects covered. 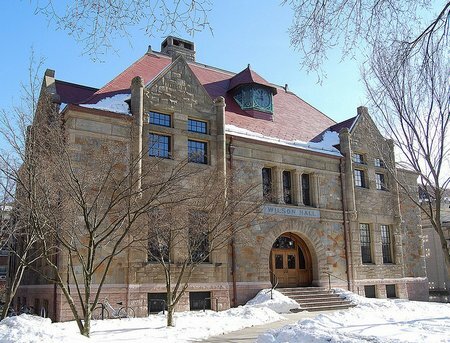 For example, although the MIT is considered to be one of the best learning institutions on Earth, there is little point of going there if your dream is to work as a landscape gardener or House designer (although both of these fields make use of a large amount of technical knowledge, learning to code robots will not be of great importance. Therefore in addition to the general rankings of a college you should take into account its ratings for the subject that you are interested in studying, in this case places such as Temple University and the University of Tennessee offer much better learning options. There are five major college rankings tables in place; these give both world and country specific ranks. The main suppliers of these tables are the Times, The Guardian, the QS, the ARWU, the USNews, and the CWTS. As with the above, if you are from Germany and want to study in your own country then it makes little difference if the University of Munich is not highly thought of in China or the USA, when it is one of the best establishments in its own country. However, this is not to dismiss ranking tables completely. Nearly four out of every five students take them into consideration when choosing their future college. Some of the key aspects that are considered to be the most important are student satisfaction, technology, and of course tuition fees, financial aid, and living costs. The different ranking lists reflect different elements, for example the Shanghai Jiao Tong places a heavy aspect on Noble prizewinners and research. If you are an undergraduate these are not as important to you as teaching quality, although it may be nice to bump into a Noble prize winner while queuing up for a coffee near the library (I have done this myself whilst on a visit to Stanford). I feel that it is more important to make use of country specific lists that offer information on teaching quality, class size, and student experience when choosing your first university for undergraduate study. Indeed all of these aspects make up a large proportion of the quality scores used by the major list providers, and the reason that places like Harvard and Cambridge tend to consistently top all the lists is because they offer such a high level of education, offer tremendous scholarship opportunities, and attract some of the world’s best students and faculty alike. It is important to realise that information contained in college and university ranking tables can be both objective and subjective, for example student experience is subjective, a person who loves Football may have the best time of his life at Penn State or USF whereas another person will be having the time of their life reading in the long room of the library at Trinity College. Fortunately there is a lot of information on whether a college is a place to party or a place to learn, or hopefully both. These differences can make a large difference to the position that a college is ranked in a list. In the UK, for example the Guardian places a heavier emphasis on the experience that a student has than what the Times does; which is weighted more towards hard facts and figures. As mentioned previously, it is important to take note of the subject that you plan to study. Many colleges that are well outside the top ten are known to be excellent in certain disciplines, a good example of this is Sunderland university which is world renown in the field for its animation courses. It is noteworthy that many employees take note of the college that you attend regardless of what the course it is that you taking. You may know that the college that you attended offers a much better course in botany than the LSE but as the college you attended is not as prestigious you may find it much more difficult to find a job if you chose to seek employment in an area outside of your field of study. This is particularly the case when seeking employment in the financial and banking service industries, where the college you attend, and indeed your old school is seen as more important than getting top results at a lesser establishment. As you can imagine it is very important that a college comes as high as possible in the college ranking tables. After all the education field is worth billions of dollars, and coming amongst the top ranks goes a long way to attracting overseas students who are expected/willing to spend more on tuition fees than in state students. It is therefore no surprise that many universities employ people whose primary job is to move the college up the ranks. Examples of how a college can move up the ranks include offering incentives to students to write good reviews about the establishment (e.g., to move up the Guardian ranking list) to offering large sums of money to Nobel laureates to take residence (thus moving up the ARWU rankings). Even lists that tend to be fact based such as the US news and Times/QS lists are partially weighted towards the opinions of researchers as to their standing in the world. Likewise the age of an institution and its size also has a major impact upon the said college rankings. There are some fantastic colleges that do not show up at all in the main lists due to their small size, despite the fact that they offer a fantastic standard of education. Most lists cut off at around the 500 mark, and hence smaller places such as the excellent Wesleyan, one of the best women’s colleges there is hardly gets a mention in any of the major ranking tables. If you are attending as an overseas student, then I highly recommend that you take an in-depth look at the country specific ratings. This is because these usually contain more in-depth information on what it is like to study there as an undergraduate, whilst the world rankings tend to lay a lot of emphasis on research and prestige. If you are going to shell out up to a quarter of a million dollars in costs to study overseas then it is important to get as high a quality of education in your chosen subject as possible. The college rankings given on the University Review site are created by combining all of the available information and attempts to remove some of the more subjective aspects of individual ranking lists. It is recommend that you visit the page of any establishment that you are interested in attending and read through their factual information (e.g., student number, A level/SAT requirements, and tuition costs) and also take into account the more subjective information, such as student experience at college, and what students think of the local town. Hopefully this will act as a way to make your future decision be a good one. All university specific pages provide information on how to contact and get to the establishments. It is highly recommended that you attend an open day or tour before choosing your future place of study, you may be surprised at how your opinion of a college can change following a campus visit. You should also be aware of the local weather, visiting a New England establishment on a sunny summer day is going to be lot different to what you will experience in the harsh winter months. Good luck with your college search and I wish you every success with your future academic endeavours.